Polk State College Bass Fishing Team members Forrest Greenfield (L) and Austin Bell are pictured on Lake Elbert in Winter Haven. Polk State College consistently underscores the institution’s “perfect fit” with the region it serves, and the newest club at Polk certainly fits a county with well over 500 lakes perfectly. 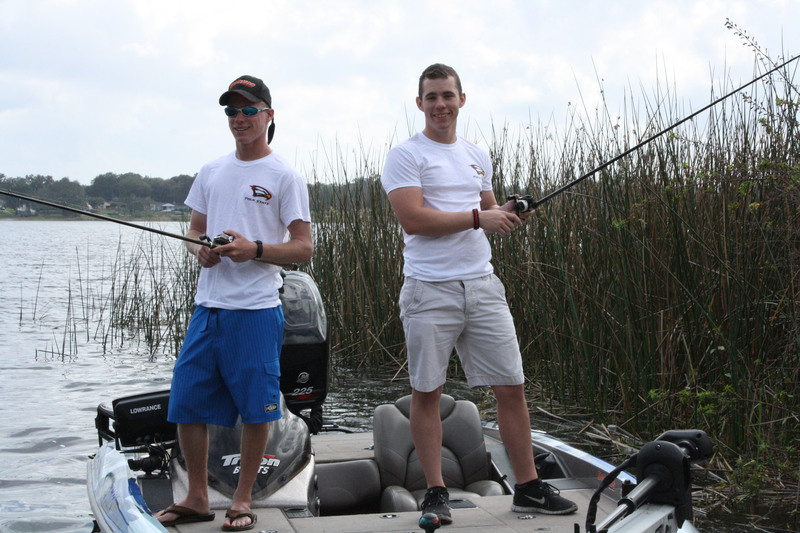 Polk State College anglers and business majors Austin Bell, 20, and Forrest Greenfield, 19, both of Winter Haven, plan to throw their lines in a tournament on Lake Okeechobee Saturday as charter members of the new Polk State College Bass Fishing Team. “We’re glad to have the opportunity to fish and represent the school as best we can,” Greenfield said. The club was chartered in September. It’s the first competitive club among the College’s Winter Haven Student Activities and Leadership Organization’s 25 clubs, and it’s one of the first sanctioned fishing clubs in the state. Polk County is recognized across the nation as a hotbed of competitive angling, and Bell and Greenfield are among many Polk State students who enjoy the sport locally. The club is sanctioned through the North American Tournament Association, which allows the anglers to participate in FLW events, named after the founder of Ranger Boats, Forrest L. Wood. Bell and Greenfield are dreaming of national titles — particularly the Forrest Wood Cup, which is the epitome of the fishing national championship. If they win the college national championship as a team, they earn an automatic bid into the Forrest Wood Cup. Ever since he was a little boy, watching college fishermen on television, Bell wanted to compete in college. Bell and Greenfield begin their dream this weekend in Okeechobee in the FLW Southeast Regional qualifier. If the team of Bell and Greenfield finish in the top 15 on Lake Okeechobee, they are one step closer to their dream. A top-15 finish qualifies them for the Southeastern Championships, which are held late in the spring. The top 10 teams at the Southeastern Championships in each division qualify for the FLW Collegiate Nationals. This weekend, the pair will hit the water with the big boys against college teams such as Auburn, Georgia, FSU, South Carolina and UCF on Lake Okeechobee. The two stand a good chance Saturday of qualifying for the Southeastern Championships. In fact, they fished Okeechobee last weekend. “It’s almost like another hometown lake to us,” Bell said. Fishing for the two is as natural as putting their shoes on. Bell fished with his father on Lake Echo on the South Chain in the Lake Alfred area while growing up. At age 12, he joined the Lakeland Junior Bassmasters Club. 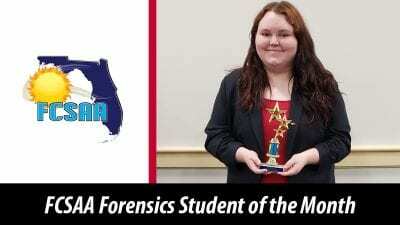 With the club, he qualified for the state event in 2005, taking eighth on the Winter Haven South Chain. In 2006, he placed third in the state tournament on Lake Toho in Kissimmee. After a break from serious fishing, he returned to the FLW in 2010. Bell placed 52nd in the 2010 FLW Southeast Regional on Lake Seminole in Georgia. He competed again in the 2011 event in South Carolina. Lately, he’s stepped up his game, spending a lot of time studying lakes through topography maps, weather patterns, water temperatures and lake clarity. Taking the advice of fellow angler Colby Cotteril, Bell imagines himself in a lake without water and where he would hide. “I’m learning to think like a fish,” he said. Greenfield has been fishing competitively since his days at Winter Haven High School. He finished third in the Junior Bassmasters state event in 2010 on the Harris Chain in Leesburg. He’s got plenty of experience locally on the water with the Winter Haven Lunker Lovers club events and BFL tournaments. “This is a great opportunity for us to go out and compete with other schools,” Greenfield said. The team is sponsored by Hoppy’s Marine, Angler’s Arsenal, Jethro Baits, Kissimmee Adventures, Strike King Lures, Anglers Choice Fishing Adventures, Dobyns Rods and Quantum Reels. The club advisors are Technology Support Supervisor Scott Tanner and Professors of Biology Anthony Cornett and Joey Maier. Already, the new organization is growing. On Tuesday, a dozen interested anglers, including two female students, attended the first fishing team meeting at the Student Center in Winter Haven. The group elected officers. “I was kind of surprised,” Greenfield said. Perhaps Saturday the team will make more noise for the new club with their results. “We’re just going to go out there and have fun and do the best we can,” Bell said.